Forest Bathing: a Walk wi. . . Nature is a silent voice, a sacred resonance that connects what seems to be disconnected, but is only seemingly so because of our limited perception of reality. This voice reminds us what we have forgotten. It wakes us up when we have fallen asleep. It questions us when we have become complacent with our answers. Nowadays, we spend up to 87% of our lives inside, according to the Environmental Protection Agency, though scientific studies demonstrate that contact with nature has significant benefits for our health. In Japan, the practice of Shinrin Yoku or Forest Bathing has become an accepted part of medical care. It is also catching up in the U.S., with an increasing number of people getting engaged in mindful walks through the forest. We will be conducting a series of activities to engage your senses and connect you to the present moment, hone your intuition, and connect you to the natural world. Wash away some of the technology-induced stress of modern life and reconnect to nature. This profound practice draws from mindfulness, sensory awareness, and nature. You will engage all your senses through a series of invitations to bring you to the present moment. We will conclude with a Tea ceremony and a snack. Why you must attend this workshop? If someone is allergic to pollens kindly carry along prescribed anti-allergic medicines. Kindly reach the location 15 minutes prior to the timing. Blood pressure monitoring will be done before and after the session. Note: Like any other therapeutic exercise, forest bathing will require multiple sessions. It should not be treated as a one-time treatment. Performing forest baths multiple times will improve your ability to heal. Holistic Healer & Life Coach with expertise in Yoga, Art therapy and Tarot reading. After completing the Engineering & MBA followed by 10 years in the corporate sector, which she guess, is a path that gets defined by parents for every kid. She was not an exception to this and she was doing great in her career meeting my financial and materialistic goals but something was always missing which she could never connect. Longing for this unknown goal halted her quest for position and wealth. 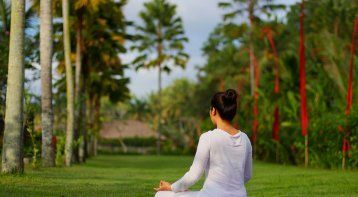 To follow her desire, She got into practicing Yoga & searching for ways to connect with herself at a deeper level that helped to redefine the path in her life, which she named as “Rejuvenate Life ”. Following the new path of life, She got Yoga and Marama Chikitsa certified from the Gurukula Kangri Vishwavidyalaya, which was set up in 1902. To pursue this path and get it aligned with the daily routine. She registered herself as an expert holistic healer by imparting knowledge and helping others to achieve their unknown goals. She is seeking to explore spiritual journey with dedicated practice through her expertise and make differences in others life. She is a keen follower of Maharishi Patanjali and has a deep belief in the ancient wisdom of “Yogas Chitta vrtti nirodhah”. Yoga has potential far beyond Asanas; rather it is a way of life we all must adopt for better and positive health. As a Reiki healer & Tarot Card reader, She helps people to discover themselves at a deeper level by providing guidance, which helps them to create a life they desire. Her expertise in PR, marketing and public speaking has helped her a lot to connect with people and to become a successful life coach. She can assist in nurturing the mental health of people across the lifespan by creating and reflecting on art to improve wellbeing, and quality of life by following the path carved out in Art Therapy sessions. My idea of life is not to live forever but to create something of value says Tanpreet. Join her if you have similar spiritual longing because it’s now or never. Let’s come together to build a balance into our life through our beliefs and experiences that will help-seeking answers to our spiritual questions. 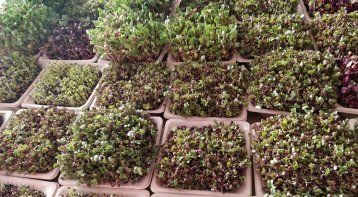 Growing Microgreens: Big Nutrition in Sm. 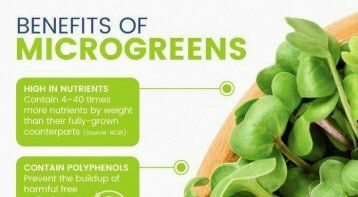 . .
Healing with Microgreens: Tiny Packets o. . . Please call our expert, Dr. Sangeeta Kapoor, on 8527618528. Please note that our experts accept calls between 10 a.m and 7 p.m only.